William Blake (1757‒1827) is one of the most original and influential figures of the Romantic Age, known for his work as an artist, poet and printmaker. 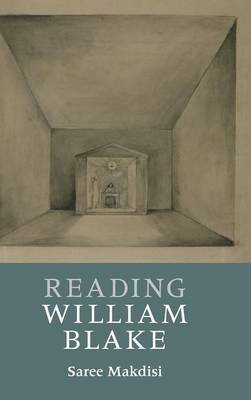 Grounding his ideas both in close reading and in the latest scholarship, Saree Makdisi offers an exciting and imaginative approach to reading Blake. By exploring some of the most important themes in Blake's work and connecting them to particular plates from Songs of Innocence and of Experience, Makdisi highlights Blake's creative power and the important interplay between images and words. There is a consistent emphasis on the relationship between the material nature of Blake's illuminated books, including the method he used to produce them, and the interpretive readings of the texts themselves. Makdisi argues that the material and formal openness of Blake's work can be seen as the very basis for learning to read in the spirit of Blake.